Trees That Please Nursery: Grafted Fruit Tree Planting Part 1: Dig the Hole! Part 1: Dig the hole! Dig a hole that is large enough to accommodate the entire root system. This is generally about 1.5 to 2 times the diameter of the root mass or planting container. Dig a Square hole not a round one (see photo). Tree roots are more likely to get stuck or ‘root bound’ in a round hole. Square holes with their corners allow roots to more easily escape the hole. 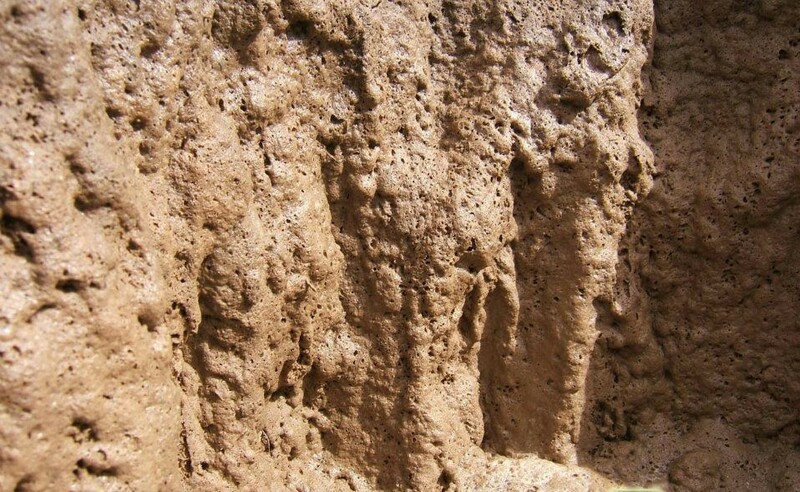 Holes dug in heavy clay very often have smooth or glazed sides (photo). This is a result of the shovel compressing an already tight clay soil structure. This will occur whether the hole is dug round or square. Soil compaction can make it more difficult for tree roots to escape the hole. Why is it important to encourage roots to escape the planting hole? The simple answer is: anchorage. The further tree roots spread out from the planting hole the better anchored your tree will be. A well anchored tree is less likely to fall over in high winds or because of a heavy fruit load. There are two easy ways to remedy smooth wall surfaces in your planting hole. First, use your shovel and roughen the wall edges until they are no longer smooth (2 photos). Second, you can also pour hydrogen peroxide down the sides of the hole photo). The hydrogen peroxide will fizz and bubble and loosen up the sides of the hole making it easier for roots to escape (photo). Pour 2-3 quarts down the sides of the planting hole. This is the same hydrogen peroxide you find at your local pharmacy (photo). Allow the hydrogen peroxide to stop bubbling before planting your tree. Look for our grafted fruit tree planting. Part 2: Plant Your Tree!